Authentic Bed and Breakfast Blog: Eat, Drink and Be Merry! It's safe to say that we have all earned this spring that is about to bloom. After shoveling snow, skating on patches of ice, and experiencing record-low temperatures, it's time to get out, stroll the streets, and take in the sights Lancaster County has to offer. Let's be honest, we deserve a reward. See, a funny thing started to happen around these parts. The sun started to shine. And it's beginning to do so more and more each day. And what better way to welcome spring than to hit downtown Lancaster and enjoy some of the area's best food and drinks during Lancaster City's Restaurant Week. Lancaster has become a bit of a hub for diverse restaurants and they are popping up one by one in the city. Sure, Lancaster's known for Amish culture, but did you know it's also becoming a hot spot for dynamic eateries? If only there was an opportunity to experience them all. Well, you're in luck. Because it's time for Restaurant Week, when you can dabble in Lancaster's dining without breaking the bank. March 23 through 29 marks the third annual restaurant week, dedicated to satisfying pallets of all tastes. 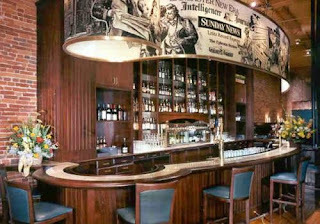 About 30 participating restaurants in the downtown area offer pre-fixed menu items at a reduced rate so that visitors can enjoy all types of cuisine. Your appetite will be satisfied and your wallet will thank you. From a scrumptious sandwich to a petite filet, eatery enthusiasts can sample restaurants' menus ranging in price from $10 to $40. 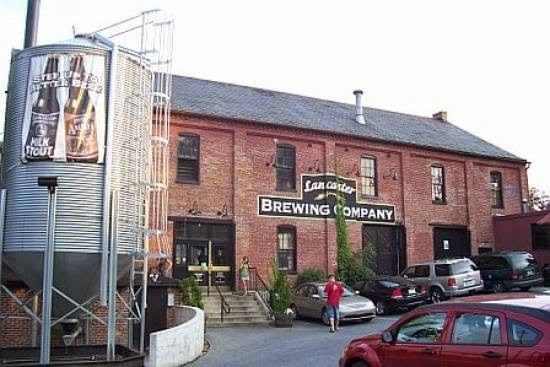 Lancaster Brewing Company, located at 302 North Plum Street, will offer a two for $24 menu package. It includes two sandwiches, one small plate and one dessert. Small plate choices include hummus, soup of the day or a garden salad. Sandwich choices are grilled vegetable grilled cheese, chicken pita sandwich, honey baked ham and gruyere grinder or a fried codfish po' boy. Dessert to choose from are bread pudding, créme brulee and chocolate cake. It is also important to note that Lancaster Brewing Company also brews some of the area's finest beers. Staying true to form for Lancaster County, they offer signature brews Hop Hog, Hop Buggy, Double Chocolate Milk Stout, Lancaster Lager and Strawberry Wheat. The Pressroom, located at 26-28 West King Street, will offer a two for $20 dinner menu. It includes choice of soup or salad and choice of entrée: catfish jambalaya, rigatoni bolognese or any 12-inch pizza featured on the menu. There are a handful of bed and breakfasts that are located close to the downtown area and the innkeepers are more than happy to help you navigate through restaurant week. Be sure to visit Visit www.authenticbandb.com to find your perfect fit for a weekend away relaxing and eating in this fine city.